Costco has begun selling Huggies® Snug & Dry Plus Diapers and Huggies Natural Care® Plus Wipes. They are exclusive to Costco and are more advanced than regular Huggies®. I love shopping at Costco as it's a great savings and saves me money over time. I like to buy products that we use often there and wipes is definitely one of those items. Now that Costco is selling the Huggies Natural Care® Plus Wipes, I'll be sure to pick those up next time I'm there. I had the chance to try out both new Plus items and they are both pretty awesome. Definitely something I'll continue to purchase! And now that they're sold in Costco, they are easily accessible. I love that they're exclusive to Costco as well! Helps make them cheaper by buying in bulk. One entrant will have the chance to win a $50 Costco Cash Card! Contest entrants are only eligible to win once per sweepstake, per household as part of a campaign sponsored by Mom Central Consulting. yes I am excited. love shopping at Costco. Yes. Ive used Hug gives for my kids and now my grandkids plus I love Costco. Yes I am very excited to get the Huggies at Costco. I like shopping there! I am excited to try the Huggies Plus Diapers and Wipes from Costco. Love shopping at Costco. My niece is expecting and will be excited to shop for Huggies at Costco. I'm going to Costco tomorrow. I shop there once a month. Yes I am excited to try the Huggies Plus Diapers and Wipes from Costco. I love the huggies brand. Thanks for the giveaway… we are quite familiar with Huggies Plus Diapers and Wipes @ Costco ! Yes, I'm excited to try them. I love shopping at Costco, but my kids are out of diapers. This would be a great place to go to get diapers for a diaper cake for my friend's baby shower, though! Yes I am excited to try Huggies Plus Diapers and Wipes for my grandson. Yes so excited! We love Costco! Yes, I'm excited to try the Huggies Plus Diapers and wipes from Costco! I am excited. we do a lot of our shopping at costco! 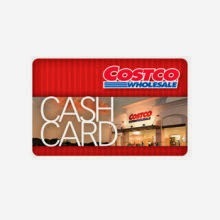 I am excited since I do a lot of shopping at Costco! My granddaughter makes an appearance in September and she would love to try them. Oh we are excited to try the Huggies diapers and wipes from Costco! We just got a membership there too! Yes, that is the brand they prefer for my grand-niece, and picking up essentials like that when we find them at a great price is one way we can help our younger family members who don't have any extra money at the end of the month! Yes, I am excited to try both the diapers and wipes. I use Huggies, but not that particular kind. I am definitely excited about possibly getting Huggies Diapers and Wipes as costco. Totally - this is a great idea for Costco to have! Yes, I am excited to try these products at Costco. I'm always excited to try the products they offer at Costco. All of them are of such good quality and not to mention value. Yes, we're excited about trying the Huggies Plus Diaper and Wipes. Also, Costco is one of my favorite stores to shop at. Great service and great prices. Yes very excited! Love taking the kids there for samples while we shop! Yes, I am excited to try them, we love shopping at Costco. I like the way Huggies fit and we love Costco I would definitely try them! We already use Huggies wipes from Costco and love them. I need to buy more in fact. I am currently not using any wipes as my grandchild is due in January. I am excited to try the wipes and we love to go to Costco. I love Huggies diapers and wipes and can't wait to get them from Costco! I am very excited to try them. I love buying a large pack, so I don't have to buy them on a weekly basis! Im expecting my first child soon and im would love to try these! Yes, I am excited to try from costco I love buying in bulk it helps so much. I'm excited to try the Huggies Plus Diapers and Wipes from Costco, we love Huggies. Yes, I want to try them out on my niece's son who I will be watching in a month. I am excited about shopping there for them and saving money. Yes, I'm looking forward to try Huggies at Costco. Yes I am excited to try them! I've already tried them and I love them! I'm excited because they are great quality products. And I love to shop at Costco!